Have a question? 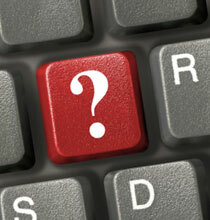 Email us and we'll post your question and the answer. Q. I'm trying to put together a schedule. How long does it take to design something? A. It depends on the complexity of what you are having designed. Do you have an approved template that the copy will be poured into to? Or does a new design have to be created? Does the design need to marry with existing material or is it a brand new concept? How long is the piece? How many graphics need to be created? Once you define the project, work with your designer to create a schedule. Don't forget to allow 2-3 days for reviews by key team members. Q. I need a writer for one of my projects. What should I consider when deciding whom to hire? A. It is important you chose someone whose core skills match the piece you want written. Is it a technical piece or a marketing piece? There are writers who usually handle one or the other. Then look at their portfolio. Have they written similar pieces? Is the way they convey concepts and key messages compatible with your company's style? Lastly, consider the chemistry you have with this person. Is this someone you can work with? What do their references say about them? Q. How do I know that I'm paying a fair price for a vendor? The most important tip: the better you define the project for the vendors, the more accurate bids you'll receive from them. Q. What one thing could I do that would be most effective for a successful MarCom project? A. Plan. Plan. Plan. Poor planning can negate all your hard work. Most programs fail due to poor planning. At the beginning of the project, it is best to produce a creative brief that outlines the program’s goals, target audience, strategy, key marketing messages, and tactics. Using this document at the kick-off meeting ensures that all team members are on the same page and agree to the program success. Q. Yikes! I have a big product launch with lots of MarCom deliverables and not enough people to do all the work. Any words of advice on making this a project a success AND keep my sanity in the process? A. That's easy! Just contact Net Results at 650.343.8005 or email us and we'll be happy to work with you to make this project a success. And we promise that you'll keep your sanity.